Concerns over air pollution and higher taxes has increased interest in petrol and hybrid cars. But which really is the better choice? Many family cars can now be bought as either a petrol, diesel or hybrid model, and some car manufacturers have even ditched diesel from their ranges altogether. So which is really the best to go for? Our experts have driven the latest family cars to find out. This year will see Peugeot’s latest 508 large car available not only as a petrol and diesel but as a plug-in hybrid option too. Is one fuel type superior for both a great drive and emissions, or does it depend on your driving? Our experts give all the details. If SUVs are more your style, the Toyota RAV 4 Hybrid aims to provide a compelling, low-emission choice. We take it for a drive to see whether this really is the case. 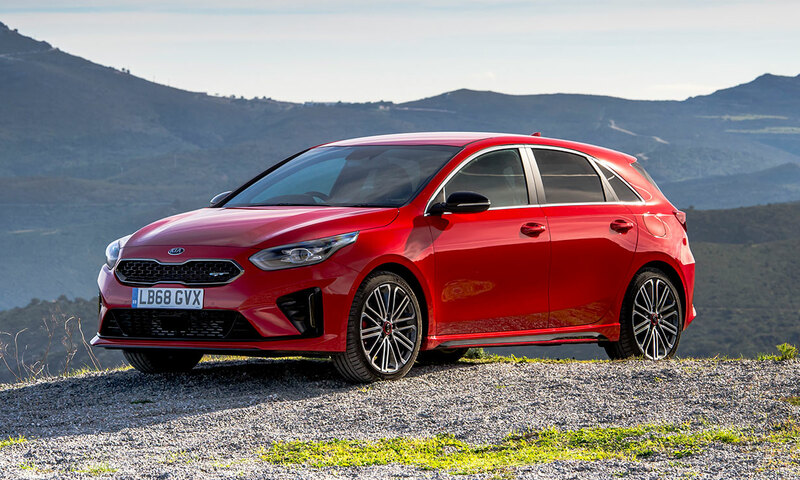 We’ve also driven the popular Kia Ceed, a rival to the Ford Focus and VW Golf, in both diesel and petrol versions to find out which you should buy. For those looking for sophisticated luxury, we’ve got the cosseting Audi A8 limousine. Keep reading to find out more about petrol, diesel and hybrid cars, and what our experts discovered about these models. Discover the best hybrid cars for 2019. Which type of car is the most economical? 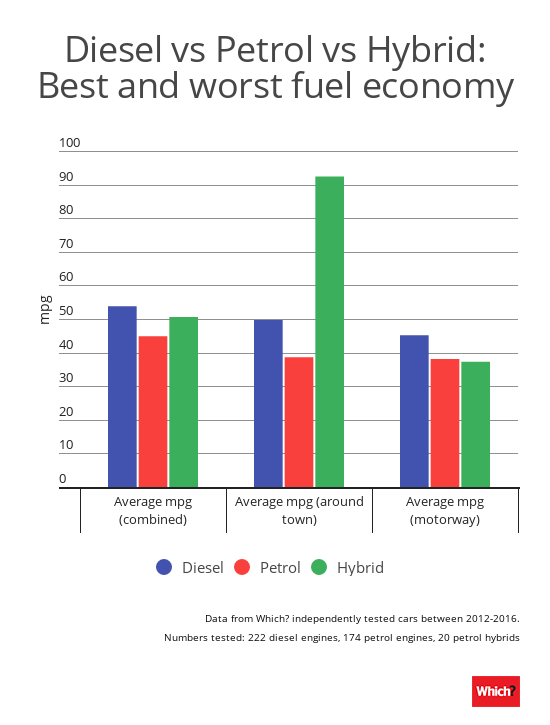 The graphic below shows the stark difference in average miles per gallon (mpg) between the petrol, diesel and hybrid cars in our independent tests. However, our graph, above, doesn’t tell the full story. These are averages. 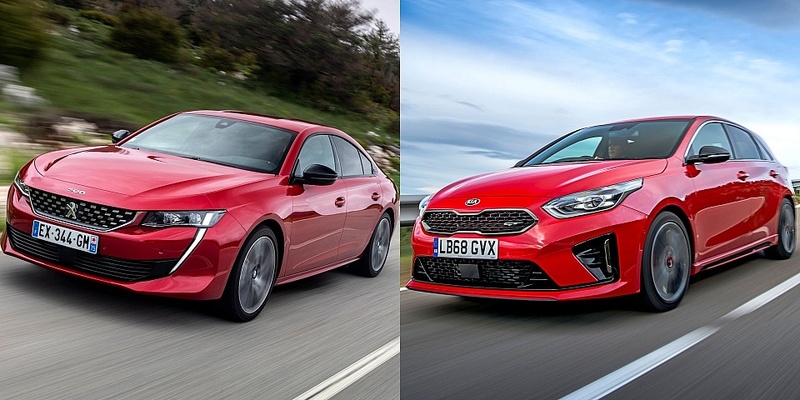 If you dig down into our test data, we have also discovered two hybrid cars that are really economical on the motorway and nearly on a par with diesels. Make sure you check our expert, independent car reviews to discover a car’s true fuel economy. Should I avoid diesel cars? While diesel cars often cost more to buy than petrol cars, diesels often have better fuel economy. However, policy changes (including the removal of tax advantages) have made diesel cars less attractive than they used to be. Several UK cities are setting up clean air zones, with many targeting all combustion engine vehicles, not just diesel cars. So you need to take care to buy one of the latest, cleanest cars to avoid any associated charges and to do your bit for the environment. This doesn’t necessarily mean avoiding diesel. Our own more realistic emissions tests have actually uncovered some diesel cars with extremely low emissions. Ready to go electric? Head straight to our best electric cars for 2019. Below, find out more about the latest family cars we’ve reviewed. 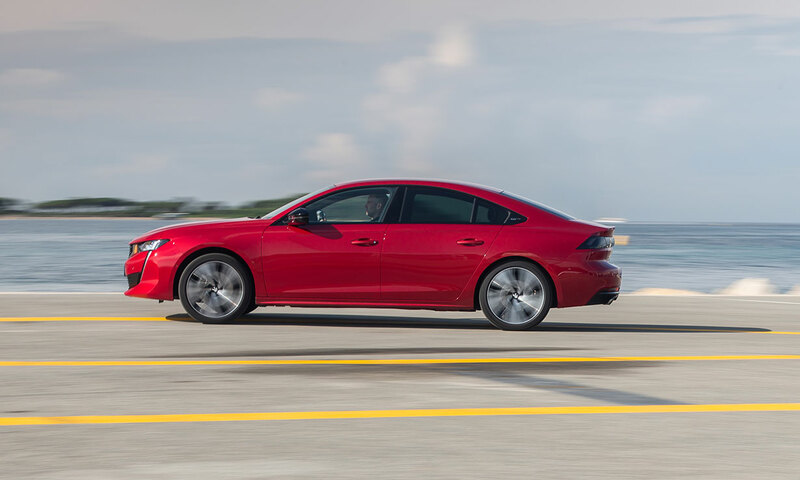 The new Peugeot 508 does away with the conventional saloon look of its predecessor in favour of a coupé-shaped fastback with its sweeping roofline. It has plenty of engines to choose from, including three diesel engines and two petrol. The plug-in hybrid option will be launched later this year. Our experts drove both diesel and petrol engine versions, and found one of these powertrains delivered a pleasingly refined drive that was great on the motorway. The other was noisier on start-up and a little less refined and to drive. Peugeot’s fuel economy claims range from 60.1mpg to 76.3mpg for the diesels and 49.6 to 52.3mpg for the petrols. So, the diesel clearly wins out here if our independent tests show the claims prove true. Official CO2 emissions are also impressively low, ranging from 98g/km to 131g/km. So which version gives the best drive, and does the fuel economy stack up in reality? Our experts help you choose which engine to go for in our definitive Peugeot 508 review. The Toyota RAV 4 Hybrid is the latest hybrid version of the RAV4 SUV. The RAV 4 Hybrid is a standard hybrid, so you don’t need to plug it in to charge. It comes with a 2.5-litre, four-cylinder petrol engine plus an electric motor, powered by a battery that recharges on braking. On the all-wheel-drive versions of the car, a second electric motor will drive the rear axle when it’s needed – such as in slippery conditions, or when driving up hills. It’s also a direct rival to the new Honda CR-V Hybrid, which launches in February 2019 – see our new video review of the Honda CR-V Hybrid. The Toyota RAV4 Hybrid promises light steering and impressive fuel economy around town. 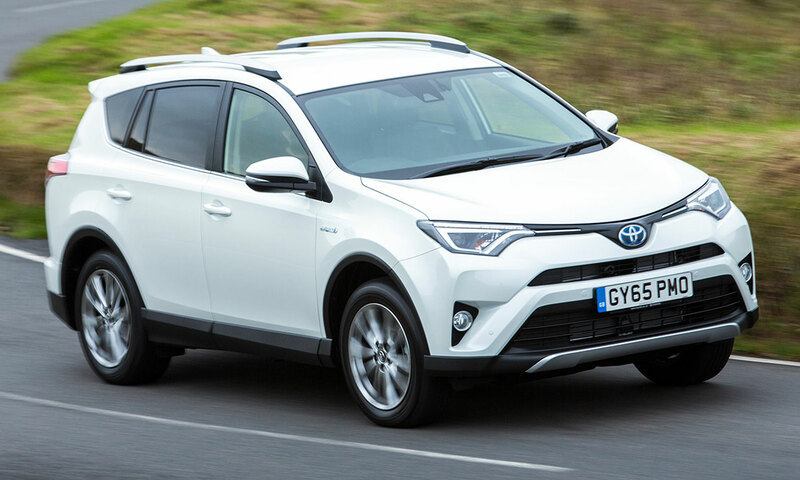 We drove it in both urban areas and on the motorway – you can compare it to the standard RAV4 to see which we thought was best. See whether it’s time to switch to a hybrid in our first drive Toyota RAV 4 Hybrid review. an also-new 1.6-litre diesel with 116hp. There’s also a choice of two transmissions. Every engine is available with a six-speed manual transmission, and the 1.4-litre petrol and 1.6-litre diesel are available with seven-speed automatic Dual-Clutch Transmission (DCT). The diesel has more torque (pulling power) when paired with the DCT automatic than with the manual transmission. But does this actually make for a more livelier feel for the diesel on the road, or are there drawbacks? Does the petrol have a secret up its sleeve? We also discover which delivers the best fuel economy and emissions. Find out all the details in our expert Kia Ceed review. The Audi A8 luxury saloon sits at the very top of the German brand’s impressive executive car range. Currently it’s available with just a choice of two engines: one petrol and one diesel. But to focus on the engines would be missing the point somewhat. For the A8 is aimed at those looking for a supreme sense of pampering and well-being. As such, it’s available in both standard and – if you feel the need to lie down and take a nap on long journeys – extra spacious long-wheelbase guises. It’s loaded with advanced autonomous tech, too – some of it so advanced that it’s not actually legal to use on the road just yet. But what is it like to drive? Will you be stung for the privilege of such rarefied motoring when it comes the business of fuel economy? And should the A8’s techno showcase tempt you away from it’s longstanding rivals, the BMW 7-Series and Mercedes S-Class? 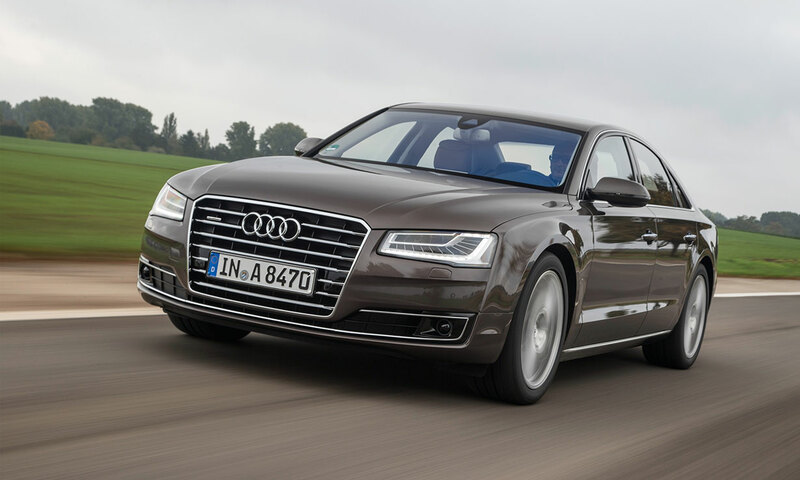 Find out, as we put the latest model through its paces in our thorough first drive Audi A8 review.